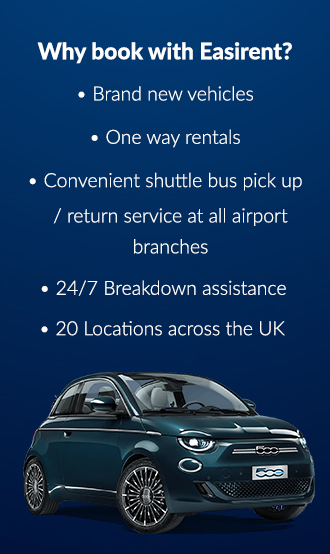 There is an increasing demand for debit card car rentals in the UK and Easirent is one of the few companies that accept this agreement. We do understand that there are a lot of people who don’t have or do not want to use their credit card for a car rental in the UK. With Easirent that’s Easi. We do accept all major debit cards in our Airport Branches and we will be happy to serve your reservation without a Credit Card. The only limitation to debit card car rental is that our Insurance excess waiver is taken. This is because we cannot process the pre-authorisation deposit on a debit card. With the Insurance excess waiver package, no deposit is required. For more information on our Relax Zero Cover you can refer here. *UK Local Residents must agree to (and pass) a credit check. If failed, the booking will be cancelled and up to 3 days rental is charged as per our cancellation policy. I have found your advice and prices fantastic. As a debit card booking the zero excess rates were reasonable, gave complete peace of mind and avoided a hefty deposit.